Obviously I got this drink because of the design. 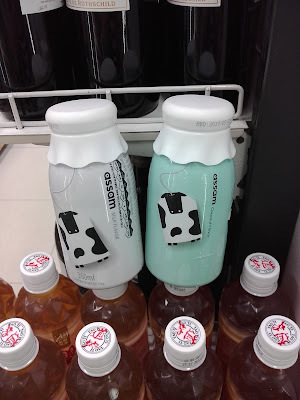 There were two flavours: Milk or coconut. 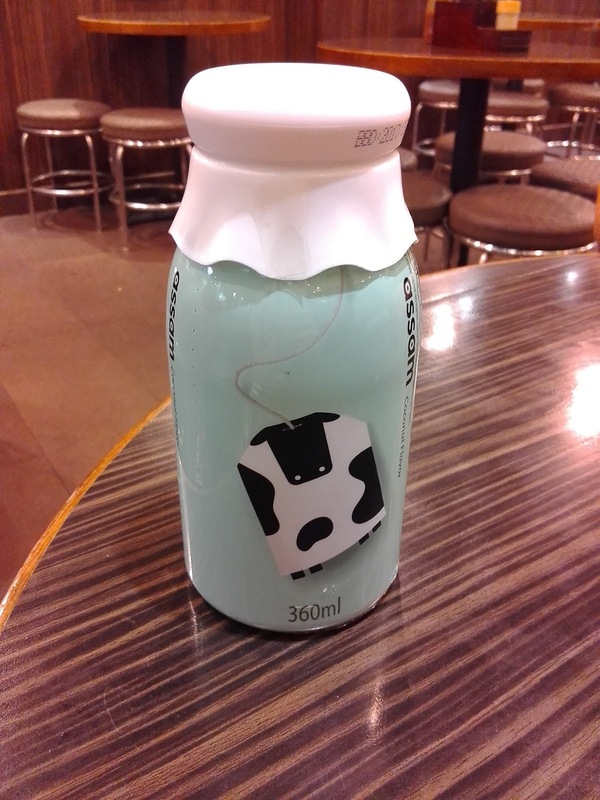 I liked the way it was like a milk bottle with a cow merged into a teabag to represent the beverage inside which was Assam tea. I ended up getting the coconut because you don't normally put coconut milk in tea. There was a strong Assam tea taste but you couldn't really taste the coconut. 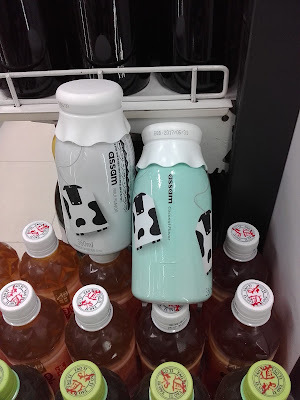 Overall, I liked the drink because it was not too sweet.